Hunter is an Australian brand, with motorcycles especially designed for touring. The first Hunter Motorcycle was approved for sale in Australia in 2007 and was brought to Nepal in 2017. Altogether they have three segment of bikes — sports bikes, cruisers and cafe racers. Under these segments, they have now introduced five variants — CafeRacer, Daytona, Sniper TT, SPYDER and CRUSIER. All of these fall into the 350-cc segment. The Hunter comes with advanced features with special focus on design from the ground up projecting itself as the world’s first learner legal full-sized chopper. It boasts parallel twin cylinder engine, overhead cam, 5-speed gearbox, chain drive, a telescopic front and dual inverted rear, and dual disc with twin-piston calipers. They are all equipped with an EFI (Electronic Fuel Injection) system. Daytona 350i has maximum power of 34bhp at 8,000rpm; Cafe Racer 350-cc churns out maximum power of 37bhp at 8,000rpm, SPYDER 350-cc has maximum power of 34bhp at 8,000rpm, Cruiser 350-cc stands at maximum power of 34bhp at 8,000rpm, and Sniper TT350X pumps out 37bhp at 8,000rpm. They are priced at Rs 6,30,000. The company claims that all these models will give mileage of up to 25-km/litre with 5-speed manual transmission. “We are excited to launch Hunter motorcycle here. We assure consumers that they will get the kind of performance they are seeking from Hunter. 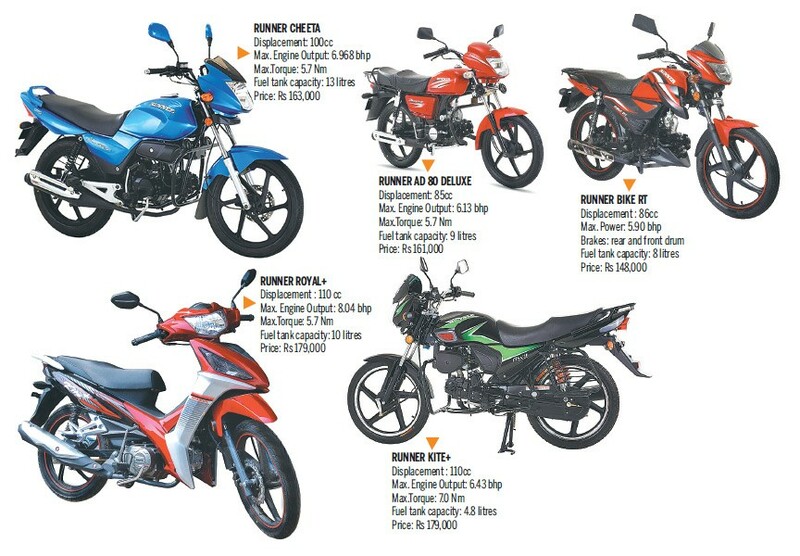 Also, it falls under the premium segment and the pricing of these bikes in the Nepali market is quite reasonable and affordable,” said Neeraj Rai, Chairman at the Rai Motors.